My Father’s Magic – Sneak Peek! One of my favorite quotes, by Arthur Miller, “The best work that anyone ever writes is the work that is on the verge of embarrassing him, always,” has never been truer for me than with this book. So much of me is poured into its pages. 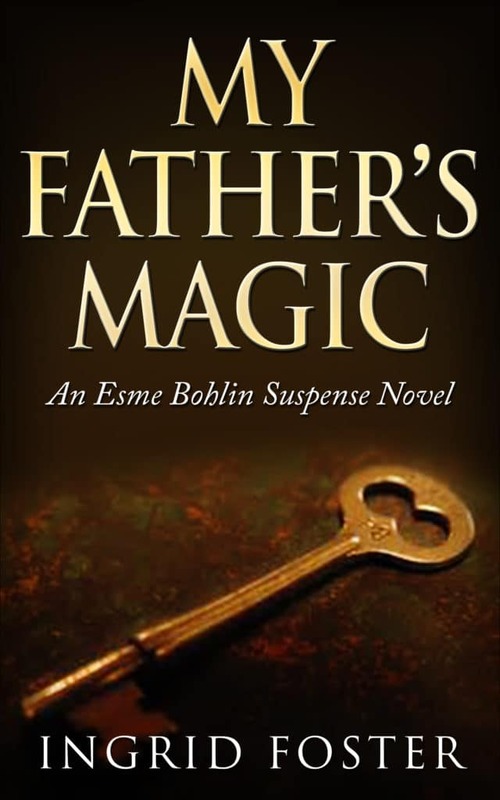 During the process of writing of My Father’s Magic, I laughed, I cried, I felt embarrassment and pain, and even elation… My entire goal in this process was to write a book that I would enjoy reading. He took a sip of amber liquid as his eyes shifted once more to the report. I should have known, he scoffed. The warning signs were all there. But as the words of a former mentor returned to haunt him, Drake Hermanus set the glass down on his leather-capped desk. After all these years, could the old wizard have been right? Could I really have been such a fool? She remained there, another second, two. “Was there something else?” He grimaced as his words hung in the air. “No. Good night, Father,” she said and turned away. After emptying its only content, a skeleton key, he wrote, “Highway 13 to FR 190, right on Hermanus Lane,” on the front of the envelope. Then, replacing the key, he laid the envelope inside his center desk drawer. His backup plan now in place, Drake removed several sheets of private stationary from a side drawer. It’s time, he decided. This can wait no longer. The grandfather clock in the front hallway chimed two o’clock when Tom Delaney, dressed in a velvet bathrobe and corduroy slippers, led his friend into his study. “How about a drink to warm you up?” he asked as he headed for the cherry hutch he used for a bar. A quick glance at the bright numbers on my alarm clock, 5AM, he should be up by now. I reached out telepathically, expecting one of two responses, both instantaneous. Either I’d hear my father’s voice, finding him awake and well into his day. Or I’d feel a wall, my father’s mental version of a “do not disturb” sign. Instead, I got nothing. Nothing? What the heck? My telepathic connection with my father, something we shared genetically, had always been consistent. But now that connection was just a big, empty void. I grabbed my cell phone from the nightstand and jumped up from my bed. With a deep, calming breath, I told the phone, “Call Father’s mobile. “Please answer. Please, please answer,” and pressed the phone harder against my ear. Still holding my now-silent phone, I started pacing. I need to go over there. I need to check on him. But still, I hesitated. What if I’m wrong? What if I go over there and he’s pissed because I interrupted his morning routine. No. There’s got to be another way. I continued my pacing. Wait. What about Geoff? Maybe he knows… Calling my temperamental fiancé at five in the morning was not my idea of fun. But we were both business partners with my father, so maybe Geoff knew something I didn’t. According to the coroner, my father had died earlier that morning and according to Geoff, they had both been at work. I had thought to ask him for more details. Like why was my father, who seldom worked past midnight, pulling an overnighter? But at that point, it didn’t matter. Father was dead and no amount of questions would bring him back. Apparently, even a master sorcerer can’t stop a heart attack. Two days after his death, we had my father’s funeral during the morning. It all seemed so quick, so hurried. But I had asked Geoff to make the arrangements, so I had no right to complain. Besides, with my father gone, I was lucky to still have my fiancé. That afternoon, I was on my way out of Cascadia, the large, sprawling city we all called home. “A much needed bit of time off,” my now very-much-in-charge fiancé had called it. On some level I knew Geoff was getting me out of the way, but I didn’t care. One of my other gifts, my ability to read minds and emotions, was in complete overdrive. In truth, I was a basket case. I was so drained from my father’s death that being able to block other people’s thoughts was impossible. As much as reading Geoff’s mind might have answered some of my questions, I was grateful that he had finally mastered the ability to keep me from reading him. At least I didn’t have to worry about his dark thoughts. I needed some time alone and wandering around Hermanus Enterprises, the company my father started, and Geoff and I had inherited, wasn’t helping. So, after finding an old key labeled “Hermanus House,” inside my father’s desk, I decided this unknown house bearing my father’s family name was as good a place as any to start. But first, I needed to tell my mother that her husband was dead.